. CASUAL ELEGANCE. STYLISH GUEST ROOMS. THOUGHTFUL AMENITIES. EXCEPTIONAL GUEST SERVICE. These are a few of the highlights guests rave about during their stay at the Parker House Vermont, the only chef owned 8 room, Air B&B style, mini hotel located in the heart of Quechee, Vermont. 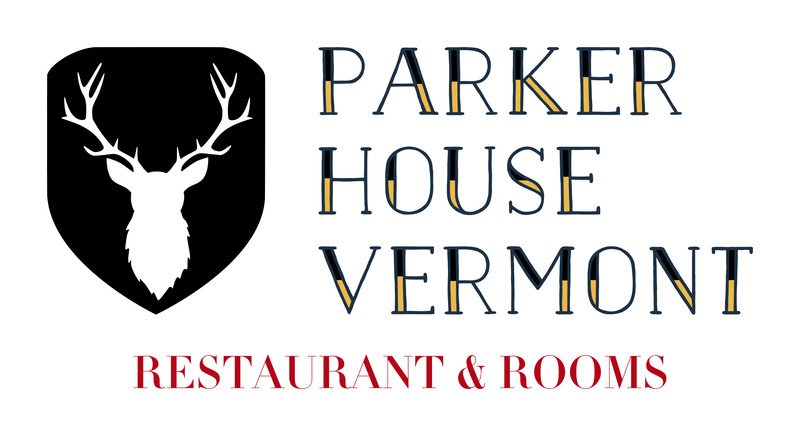 With its warm, unassuming ambience, our restaurant the Parker House Vermont is a modern, light-hearted approach to the quintessential Vermont dining experience. Offering signature cocktails, unique wines and a dinner menu consisting of seasonally inspired dishes from our Kitchen Garden and Nearby Farms. It's a local hot spot in the summer months, visitors can enjoy cocktails outdoors on the patio or veranda, overlooking the Ottaquechee River or in the cooler months in front of a welcoming fireplace. Centrally located just off the I-89 & I-91 10 minutes to Woodstock & Norwich, Vermont and Dartmouth College, Hanover New Hampshire. Perched in the village center, the inn's fantastic vista overlooks the Ottauquechee River, Covered Bridge and Waterfalls, The Mill at Simon Pearce, and daily hot air balloons! always the best rates online!